For building service contractors, the first step to better quality is tracking it. Stop chasing paper checklists. When inspections are easy to do, they actually get done… and when the results are delivered instantly, you always know how things are really going at your facilities. Better data helps you stay a step ahead. Keep your current contracts—and win new ones. We simplify quality control so you can manage your current contracts efficiently and keep clients happy. The next step? Showing off the proof of your excellent quality control to potential clients and winning the bids you want. Empower your team to own quality assurance. Our simple ticket and work order system organizes all the tasks your team needs to get done. Tickets can be assigned, commented on, and updated so everyone knows the status of an issue and who’s responsible for what. And because tickets are accessible via the web, mobile app, and email, everyone can communicate in the way that works for them. Have productive conversations with your team. 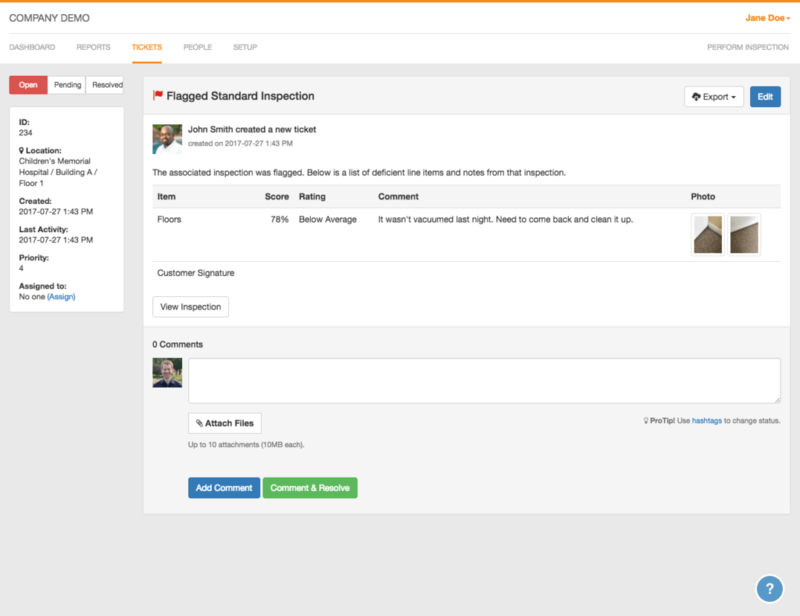 OrangeQC’s powerful cleaning inspection software lets you show your team members exactly where they need to improve. Show inspection photos of things done wrong, or point out trends in how the site is doing over time. If performance at a site starts to slip, you can address it with your team before the client starts noticing. You’ll also know exactly who needs another round of training—and who really deserves that bonus. Put our powerful tools to work. When an app is easy to use… it gets used. OrangeQC is simple and intuitive. We do all the hard work for you: pulling out trends in inspections, organizing work orders and corrective actions, and analyzing your data to create custom reports. Learn more about how our features work for you. [OrangeQC] has helped take our operational quality to the next level, creating accountability and transparency for our services. 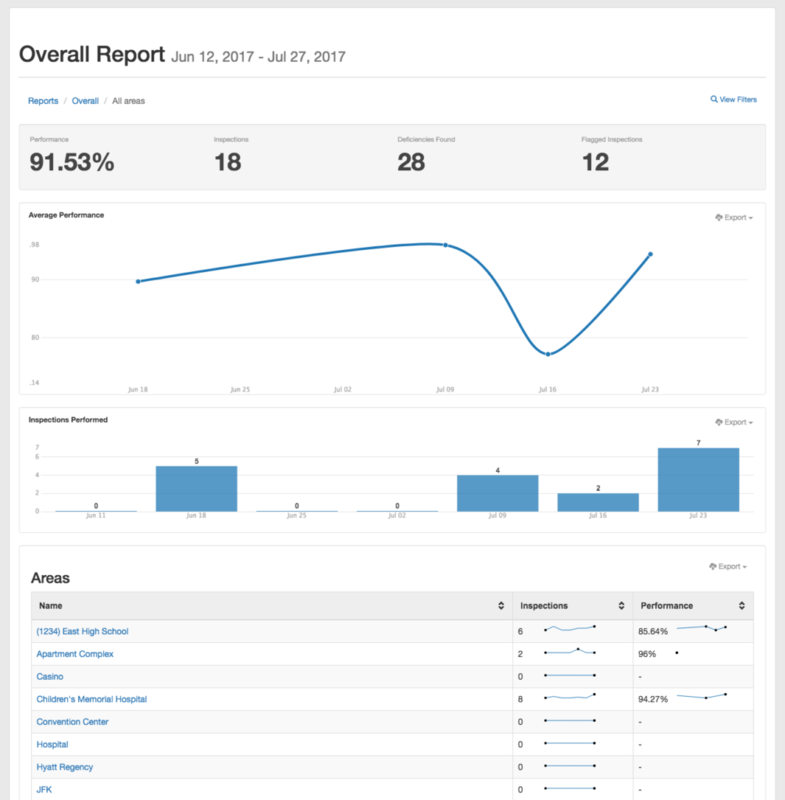 Our staff takes pride in their scores, and they enjoy learning when their areas perform well... OrangeQC is essential to our daily operations. We have tried three different systems, and this is the best one by far. OrangeQC is absolutely key for us. It keeps my team accountable and clients happy.